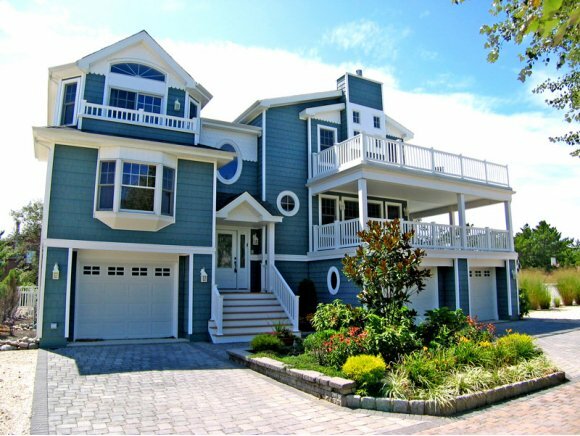 Short Sales on Long Beach Island NJ-Are they always the best deal? More and more buyers look to begin their LBI real estate search by asking about short sales and foreclosures on Long Beach Island NJ. LBI short sales do exist and to help those looking only at distressed properties, I have created a page dedicated to short sales and foreclosures on Long Beach Island. However it may not be in your best interest to look only at distressed properties in the LBI real estate market! Compared to national markets, Long Beach Island has a very low number of distressed real estate listings-in fact there are only about 60-80 properties on LBI that are listed in the tax records as being distressed! Therefore, limiting your search to only short sales can limit your options in the LBI real estate market. What Are Short Sales on LBI? Why LBI Short Sales MAY NOT be the Best Deal! The LBI real estate market has not seen the dramatic fall in property values that many other real estate markets across the nation experienced. Likewise, the LBI real estate market is somewhat shielded from distressed properties because Long Beach Island NJ is mostly second homes that have the unique ability to turn into profitable rental properties. In many cases, homeowners that have encountered financial trouble are able to wait out the economy by simply putting their house on the summer rental market and using the income generated to help cover all or part of their expenses. While it is certainly a good idea to explore the option of a short sale, limiting your LBI real estate search to ONLY short sales can limit your ability to find the right kind of property. There are many excellent properties for sale on Long Beach Island NJ and many of them have very motivated sellers. By exploring traditional real estate sales and taking advantage of the number of properties listed for sale, a buyer can often get a better deal! In addition, short sales can take a very long time to close due to the seller and the bank having to agree to accept a loss on the property. In an area like Long Beach Island NJ with a short summer season, the timing of your LBI real estate transaction must coincide with the summer season to ensure you get to enjoy the property! If you have entered into a contract for a short sale and the deal is delayed, you may risk losing some of the summer season! So…Are LBI Short Sales the Best Deal!? If you are searching for a home in the LBI real estate market, don’t limit your options to only short sales. Short sales can provide you with an excellent opportunity and should be taken into consideration in your LBI real estate search, but remember to consider all homes for sale as candidates. You can view all homes for sale on Long Beach Island NJ as well as LBI short sales here and after viewing the inventory available in relation to the available number of short sales, you should be able to tell if LBI short sales are really the best deal! If you have any questions, please do not hesitate to contact me!